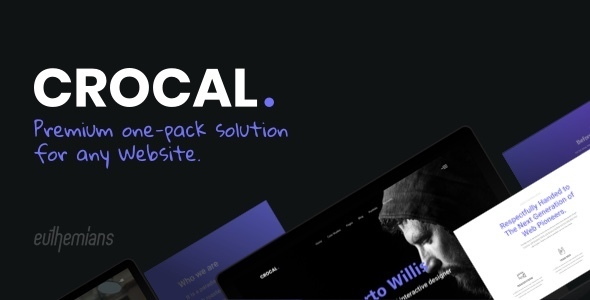 Just imagine your ideal website and Crocal will do the work for you. Whether you are a simple user or an advanced one, your result will come up effortless and in no time. Not in the mood to design? No worries, no coding or design skills required. Crocal gives you the solution with the amazing Import on Demand and its pre-made designs. 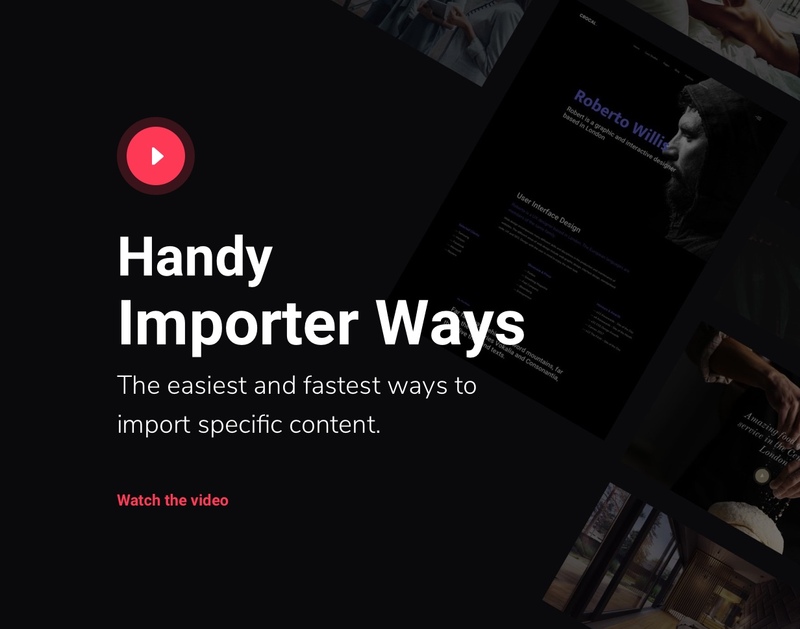 The harmonious combination of flexibility, customizability and simplicity compiles this fast-loading, modern and responsive multiuse WordPress theme. Endless possibilities, amazing Theme Options to affect core features combined with the most Advanced Grid System in the marketplace. More than 50 handcrafted elements created with cutting-edge technologies can guarantee a great experience for any purpose. Crocal was created by Euthemians with love and tons of work. 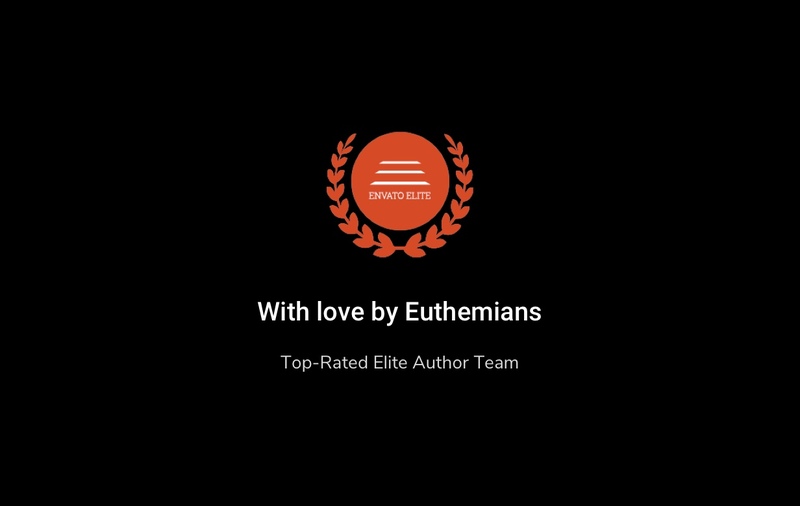 An experienced author team, the #1 rated Elite author on Themeforest and not just for one single product. 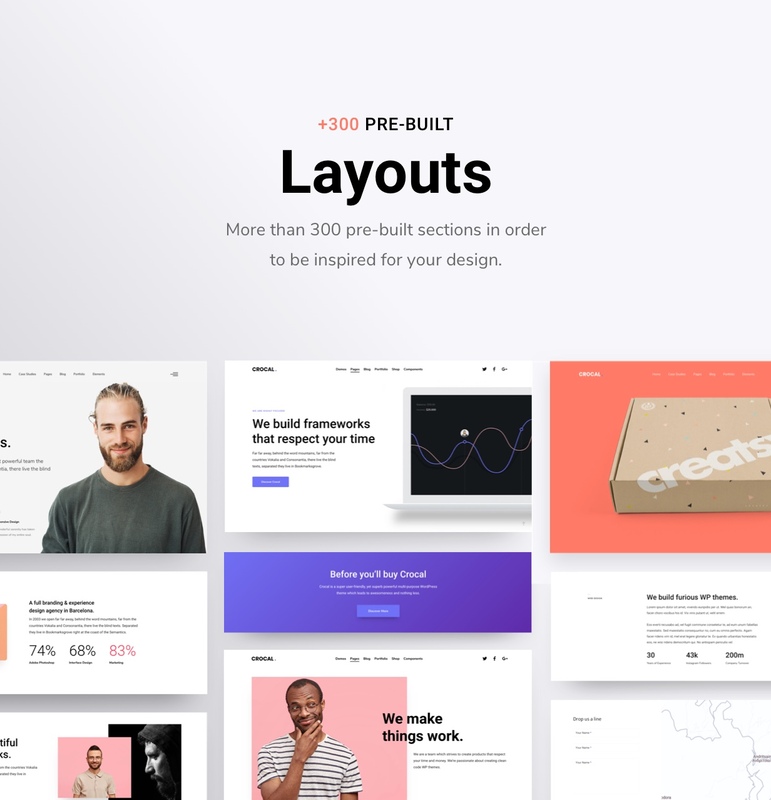 As always, we feel confident about our products and YOU all deserve to discover what PREMIUM theme really means. Don’t waste your time, be incomparable and build the most beautiful website out there. 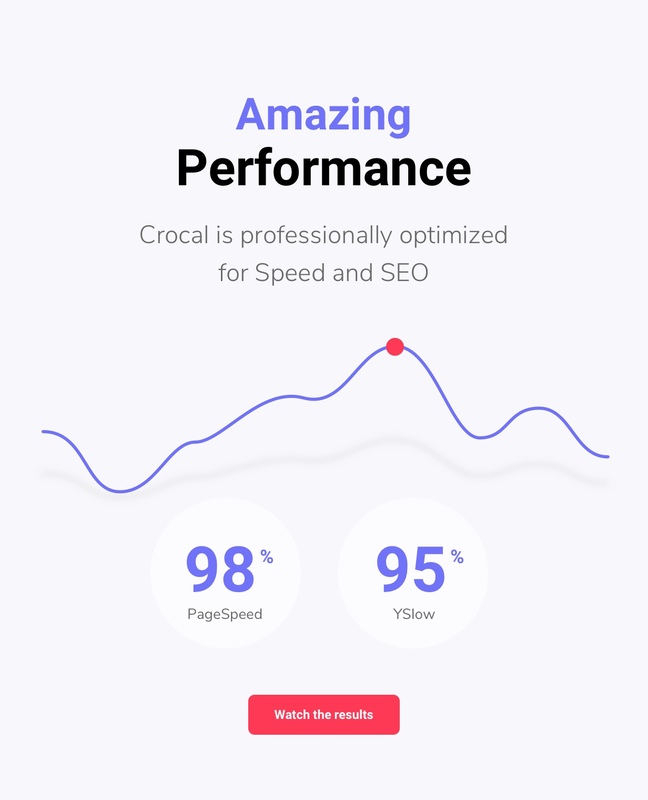 YOU can do it fast with Crocal, the fastest multipurpose WordPress theme. 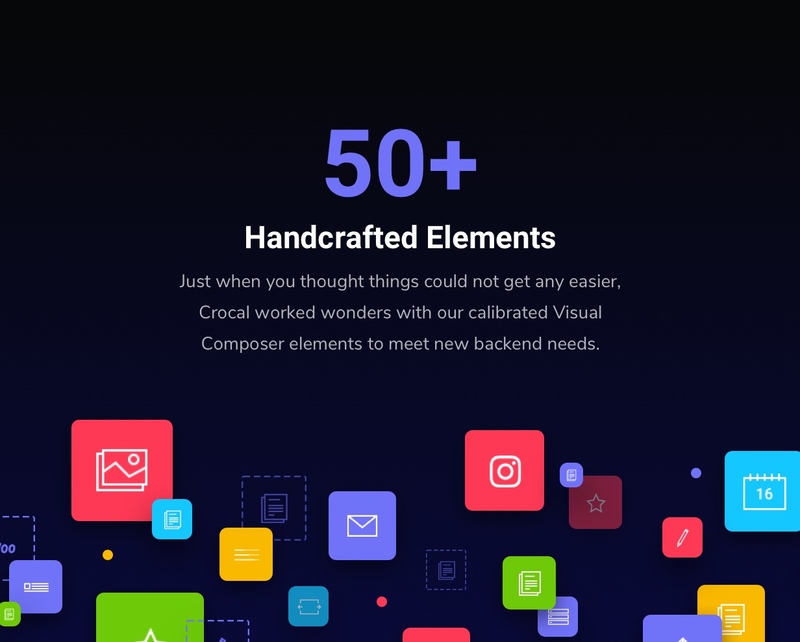 Crocal comes with the WPBakery Page Builder (Visual Composer), a visual layout builder that allows you to forget about the syntax of the shortcodes and create multiple layouts within minutes without writing a single line of code. However, there is much more than that in Crocal. Its advanced custom grid system, the most powerful system in the marketplace, we take the website development to the next level. Design with no restrictions via the handcrafted options in the Rows/Columns of Crocal. Equal Heights, Vertical Positions, Content Width, Full width and Screen options, several Background Effects, Parallax Columns and many more. Crocal follows official WordPress Codex rules and guidelines. Experienced backend and frontend developers with the precious assistance of a SEO specialist will make your Crocal based website a long lasting experience. Crocal uses valid and clean code so that you make sure that Google and other search engines will love it. 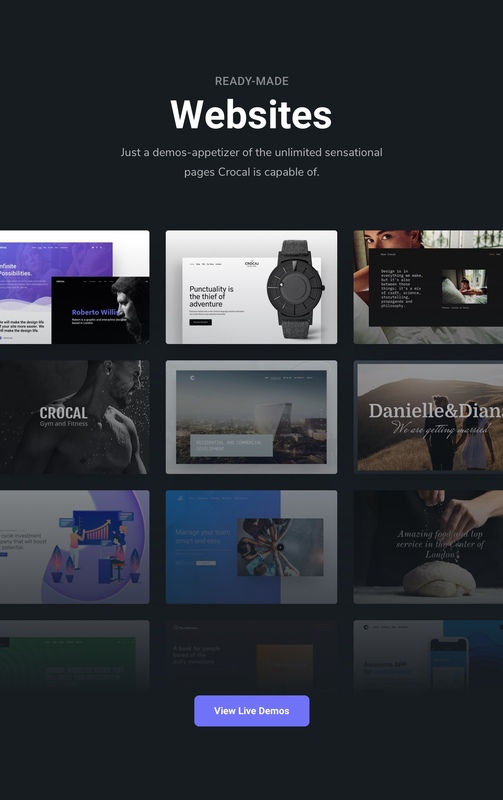 Do you just need specific pages or portfolios, posts, products of our demo content to create your site? 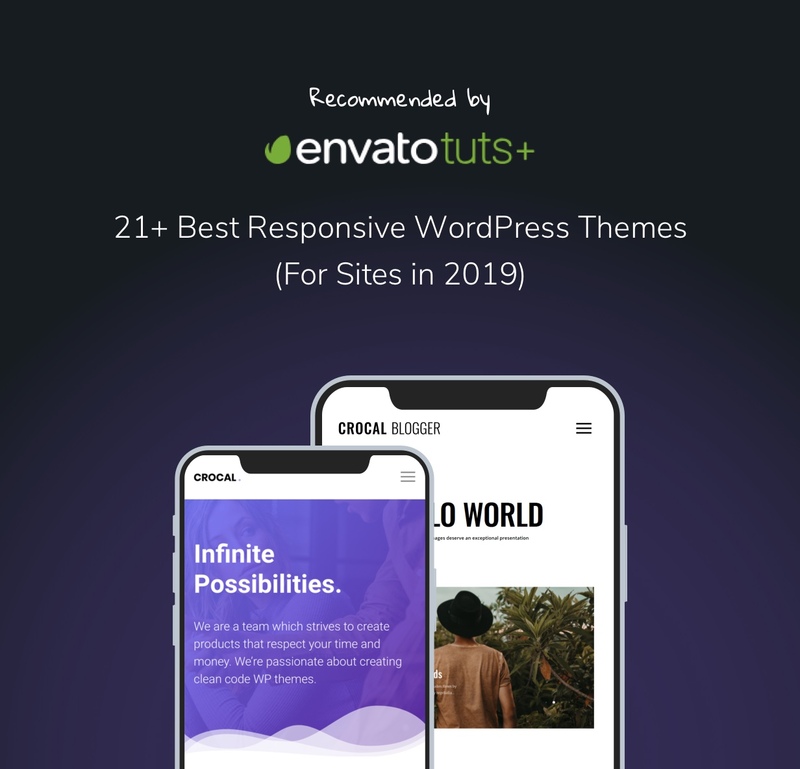 Do you just need to import a few pages to get a simple understanding of how the theme works and what certain elements functions have to offer for you? With Crocal you are only a few clicks away. 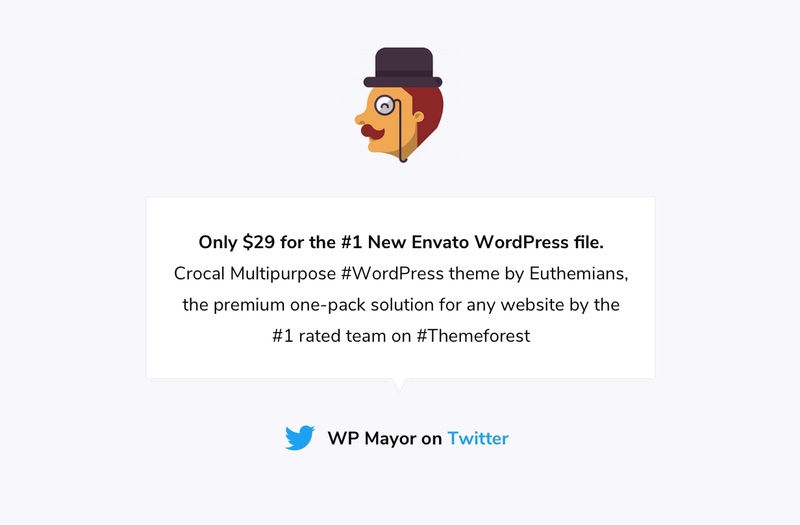 WordPress automatically creates several sizes of each image uploaded to the media library. By including the available sizes of an image into a srcset attribute, browsers can now choose to download the most appropriate size and ignore the others—potentially saving bandwidth and speeding up page load times in the process. 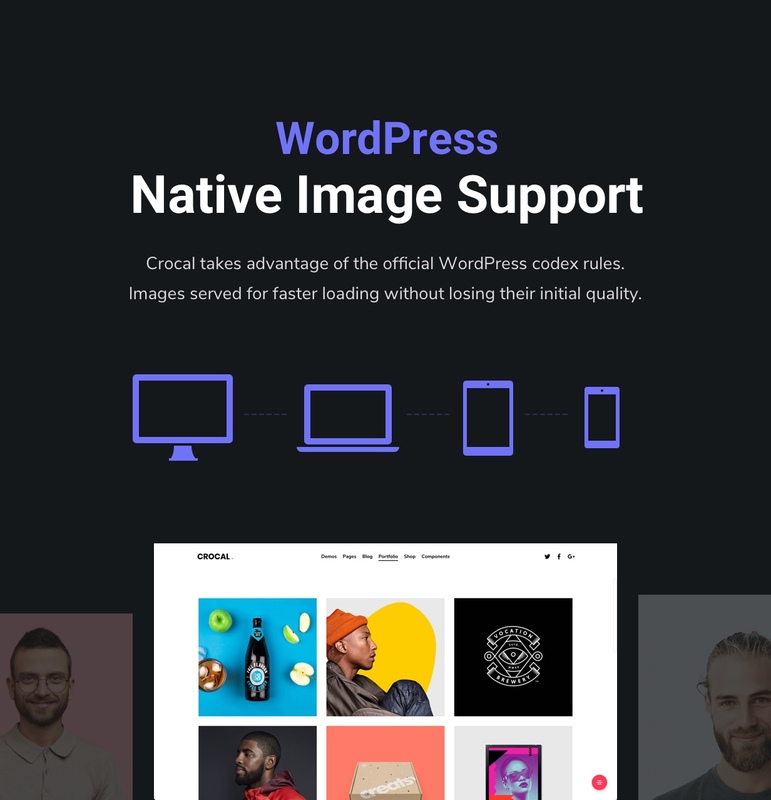 Responsive and Retina (crispy) images on any device with Crocal via the official WordPress codex rules. In case you need further site perfomance, enable the Lazy Load images feature in Crocal admin panel. With this way, images will be appeared only in the browser’s viewport. This means that if users don’t scroll all the way down, images placed at the bottom of the page won’t even be loaded. 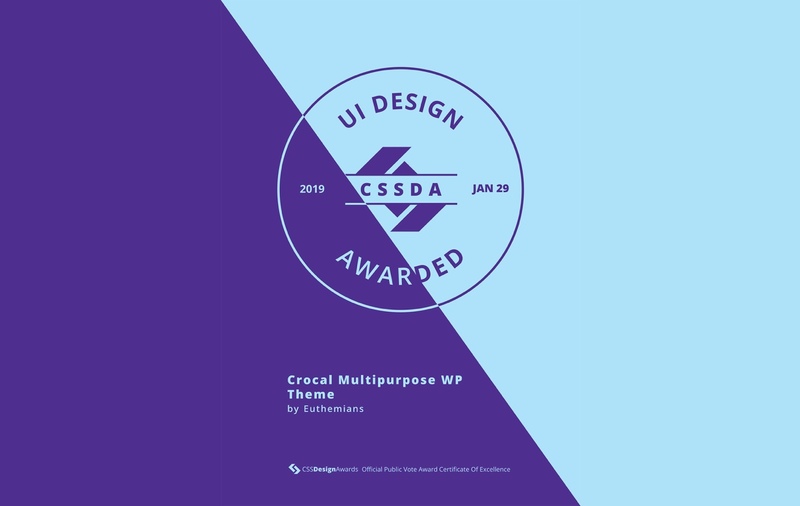 For sure, Crocal is not just another Responsive WordPress theme. Based on the most powerful grid system ever created you can redesign everything on any device. 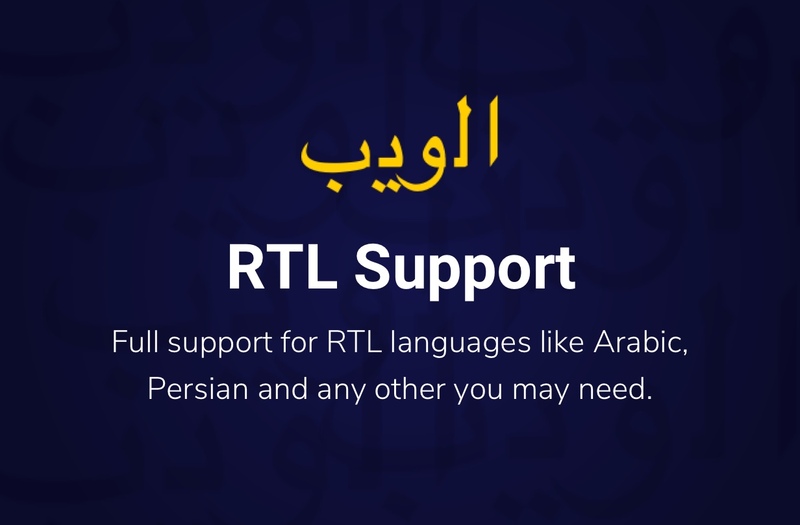 Reset effects and equal heights, redefine spaces, change columns order, specify dynamically your responsive typography and many more. 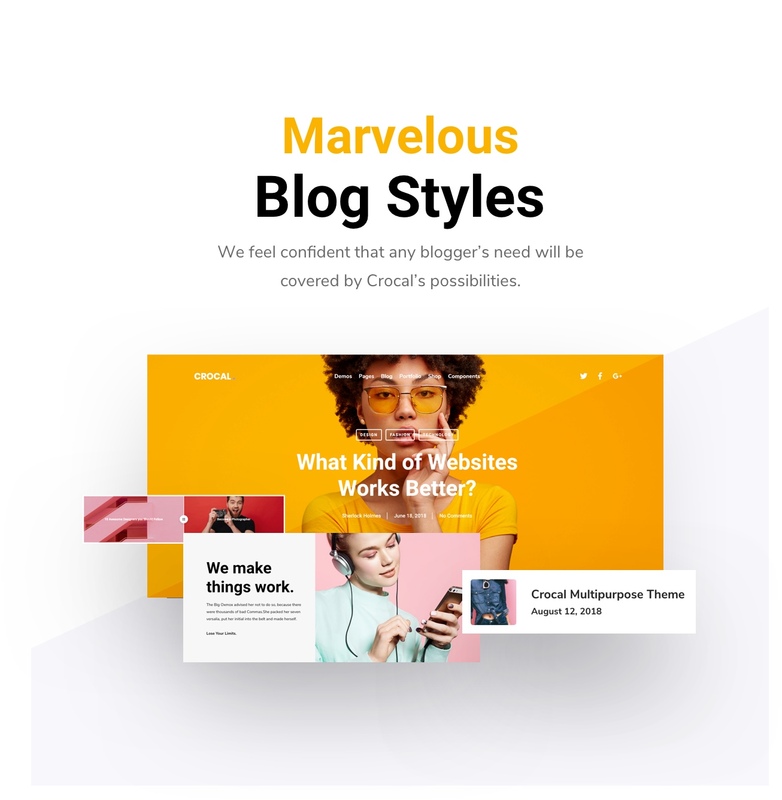 Crocal is THE Responsive WordPress theme. What you firstly need is a premium and SEO optimized WP theme, no matter what you are going to design. Crocal is here for you. It goes without saying that Crocal uses valid HTML5 code and CSS3. Search engines would love its clean code. 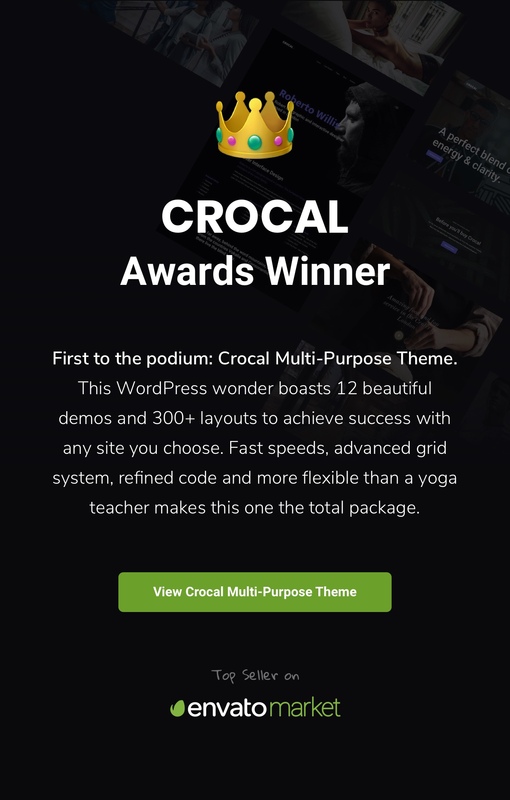 Crocal is also fully compatible with the two most popular WP SEO plugins, All in One SEO and WordPress SEO by Yoast, in case you need something more specific for your site optimization. Need an e-shop? 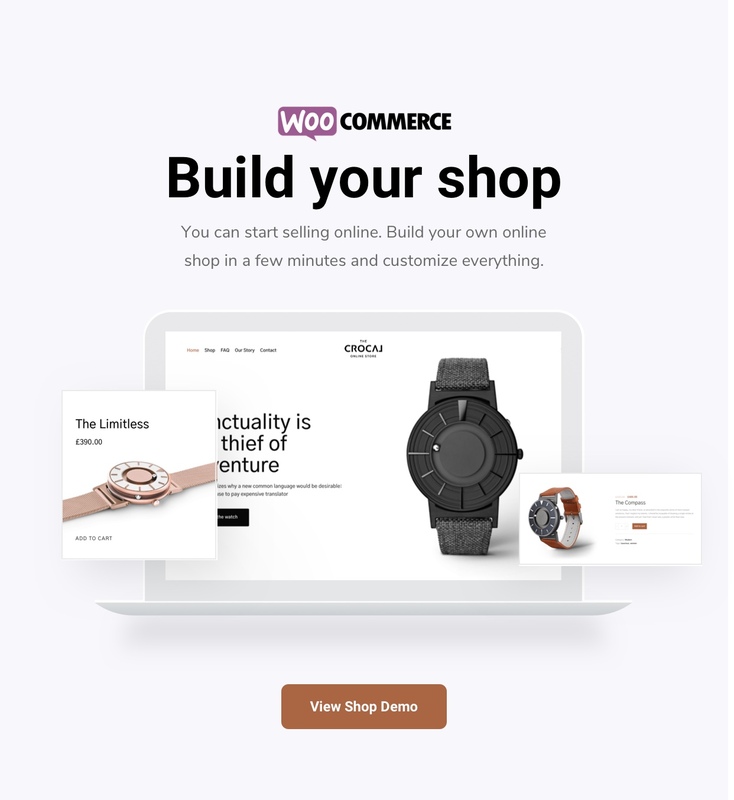 Don’t waste your time; Crocal is 100% compatible with WooCommerce. Build your own online shop in a few minutes and customize everything as you wish. With Crocal you can start selling online. Crocal offers GDPR compliance features under in a way that Website administrator, firstly, decides about the initial state of the cookies. It means that it’s on your call which cookies and personal data will be loaded on the first page from external services (Google Maps, Google Analytics, Videos etc). Moreover, we have created a Privacy Preferences modal where the visitor can override your settings. So, besides all the needed information they obtain, they also get the full control to define their preferences. Crocal and bbPress are fully compatible. You may, with no effort, create and manage your community forum. 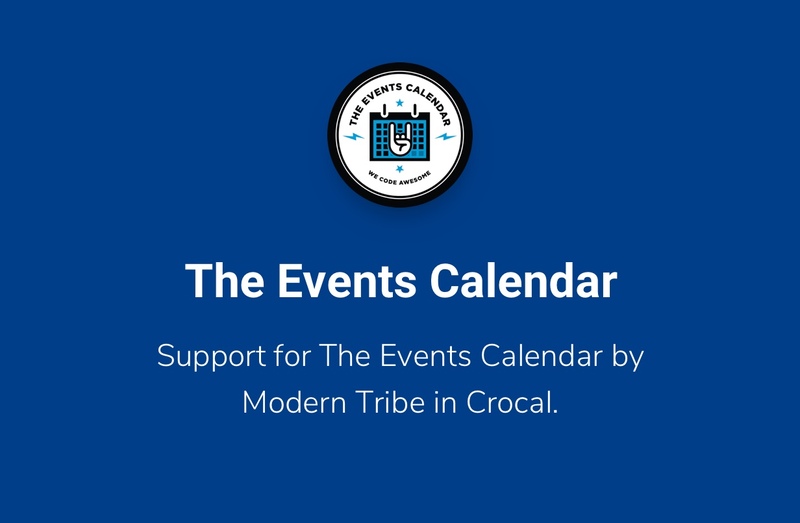 Crocal supports the Event Calendar by Modern Tribe, both free and pro versions. You can create and manage your events with ease and efficiently with a large variety of styling options. Gutenberg is available as part of WordPress 5.0 and later. 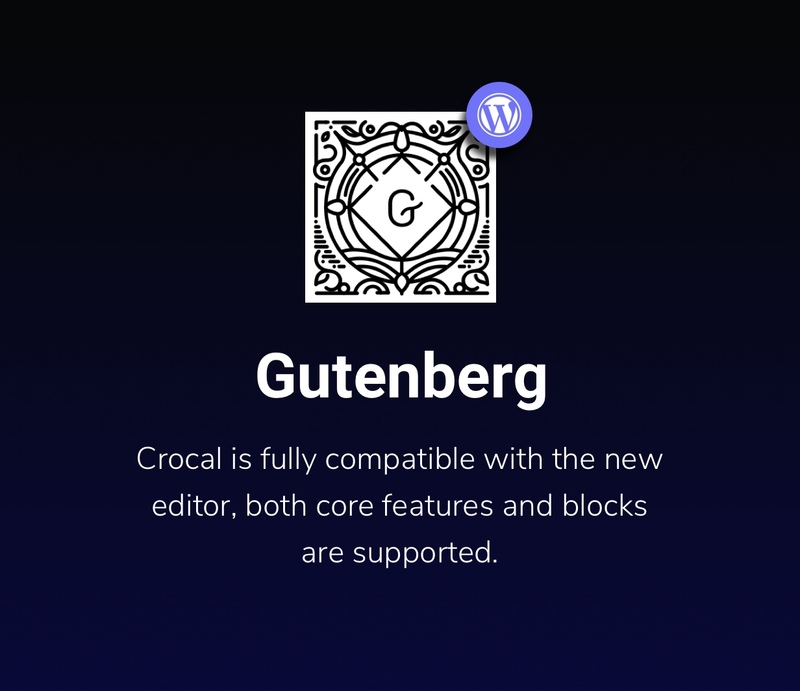 Crocal is fully compatible with the new editor, both core features and blocks are supported. Of course, we will keep following the development status of Gutenberg. Crocal comes with amazing clipping animations in columns and in some specific elements (title, image). 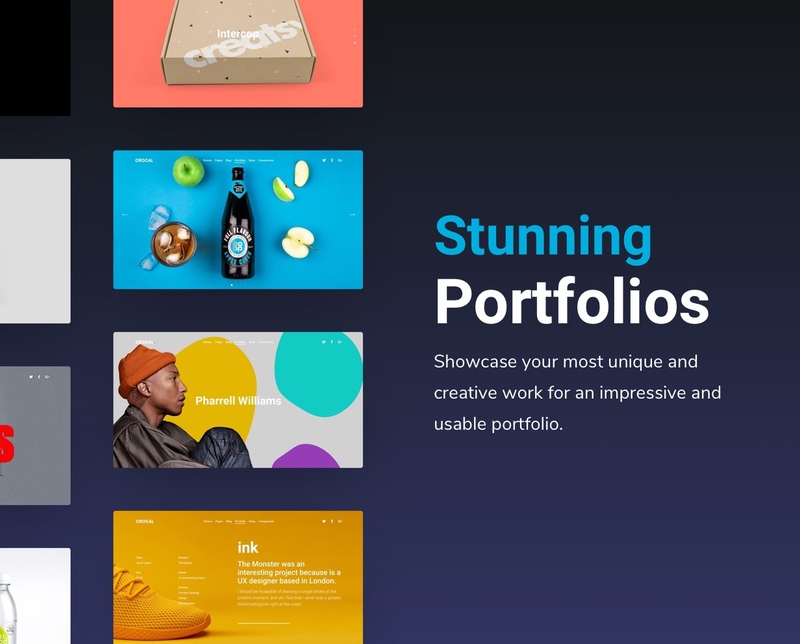 Cutting-edge design options for your website. Sliding Area, unique effect to place your widgets. Customizable per custom post. Live Color Customizer with Unlimited Color Options. With no doubt, you can control every color in Crocal. Innovative Options Panel. Crocal Option panel is built with the renowned Redux Framework and gives you many configuration options in a user-friendly environment. 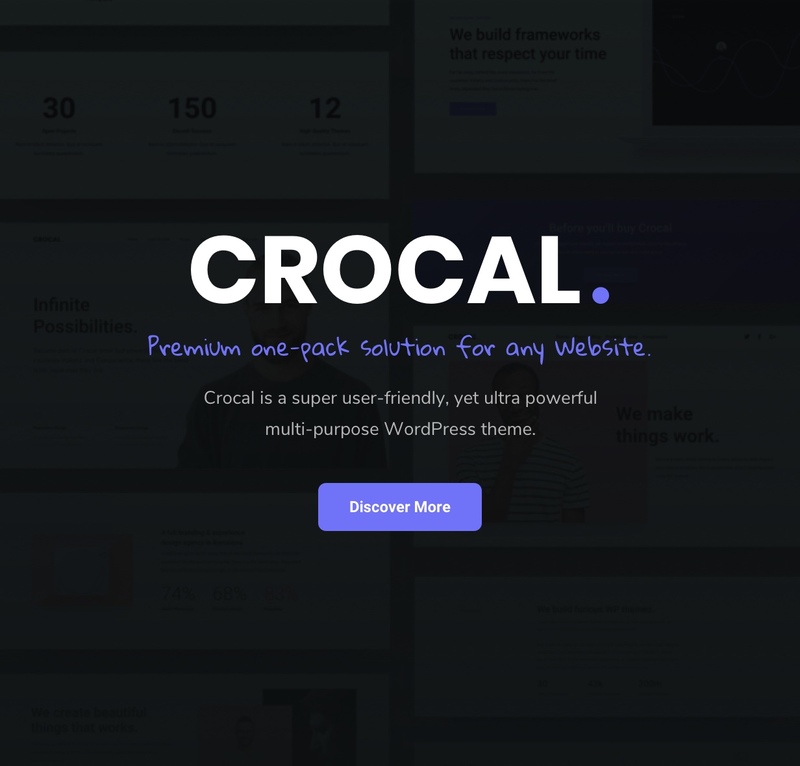 Click the Crocal tab from the main WordPress navigation and then you will be able to access and enjoy many core features of Crocal. All the options have detailed descriptions in order to explain their purpose. Crocal uses valid and clean code so that you make sure that Gooogle and other search engines will love it. It is also compatible with the most famous SEO plugins. The images included in preview are for demonstration purposes only. Some of these have been purchased from Shutterstock and others were downloaded from Unsplash, Death to Stock and similar sources. In case you use any of these images in your end-product, ensure that they are properly licensed. Euthemians does not transfer any licenses for the images used in the demo sites. 5 average based on 18 ratings.